ATOTO Car On-dash camera, recording high quality enhanced 720P video, only works with ATOTO selected Android Car Stereo models, like M4_Series(model no:M4171,ASIN:B01LPZD1N6; M4272, ASIN:B01M152OQZ). All related models have built in dash cam app( some may be called DVR in the app lists). User can operate and view the recorded videos from the APP. This Dash Camera has auto recording mode,allows to take a screenshot image during recording, and pressing video files for 3-5 seconds could lock the files, avoid being deleted by recurring records. Is the video files recorded good enough? 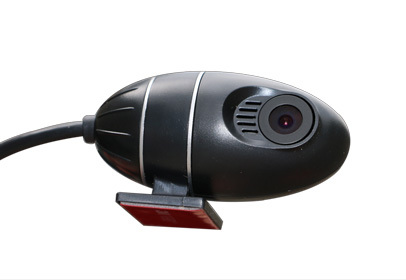 *This dash camera allows to record high quality enhanced 720P video; *Our M4_Series Android Car Stereos hardware allows to record 720P files(most Quad Core Android actually only allows to record 620P, or even 480P, user can prove this by playing the recording files via a video player that can view resolution parameter). If you connect it to other android car stereo on the market that happens to work with the dash camera(most will not be compatible), the recording video files may be less than 720P, due to other Android Car Stereo's hardware limitation. *Please search with ATOTO DASH CAMERA 720P on Youtube for video demo files we took with this Atoto Dash Camera to see if the video quality meets your need. We are satisfied with the video quality of the recording files!